Laptop bags and briefcases provide convenient storage and portability while offering padded protection. Many laptop bags and briefcases provide a number of pockets for cables, accessories, and papers in addition to a protected area for the laptop. 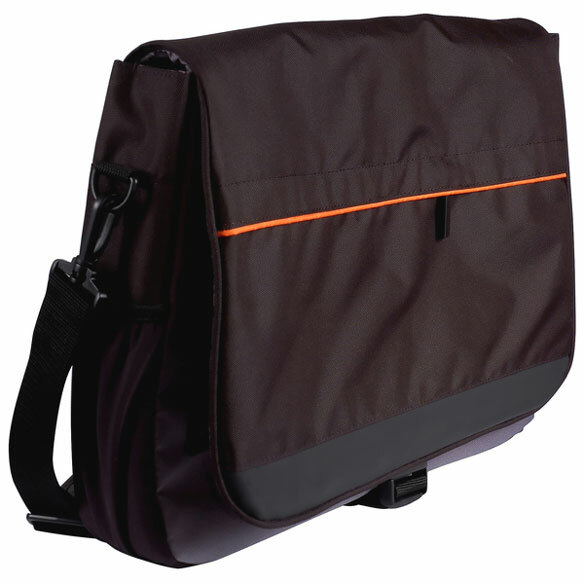 This red trimmed, black nylon messenger-style laptop bag has a shoulder strap for easy and secure carrying.